February 20, 2018 – Hastings and Prince Edward District School Board is pleased to announce the launch of School Cash Online. Parents now have the convenient and secure option of paying for school items such as field trips, food orders, school activities etc. online. To access online payments, parents can enrol at hpedsb.schoolcashonline.com . Registration only takes a few minutes and parents will be able to see payment history, print receipts, and receive email notifications whenever new student items are posted for their child. This introductory video  will help you to understand School Cash Online and show you how you can register. a) Go to the School Cash Online home pagehpedsb.schoolcashonline.com  and select the “Get Started Today” option. A registration confirmation email will be forwarded to you. Click on the link provided inside the email to confirm your email and School Cash Online account. 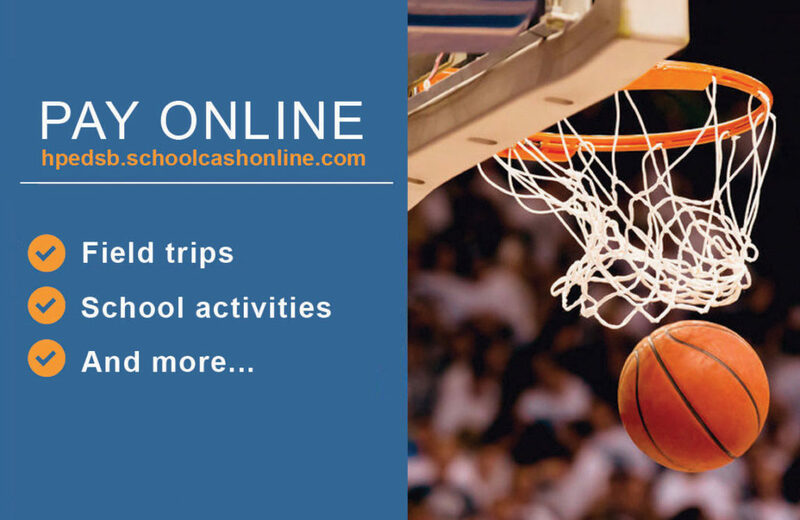 The confirmation link will open the School Cash Online site prompting you to sign into your account. Use your email address and password just created with your account. This step will connect your children to your account. e) On the next page confirm that you are related to the child, check in the agree box and select continue. f) Your child has been added to your account. If you have more children, select “add another student” and repeat the steps above. 8 children can be added to one parent account. If you do not wish to add additional children, select “view items for students” option. A listing of available items for purchase will be displayed.